She helps kids of all ages share their voices and make a bigger impact using the technology they already have at their fingertips. She’s shifting the paradigm from consumption time on devices into creation time by equipping kids with real-world skills (like podcasting) so they can share their stories, learn to serve others, and fund their adventures in the process. 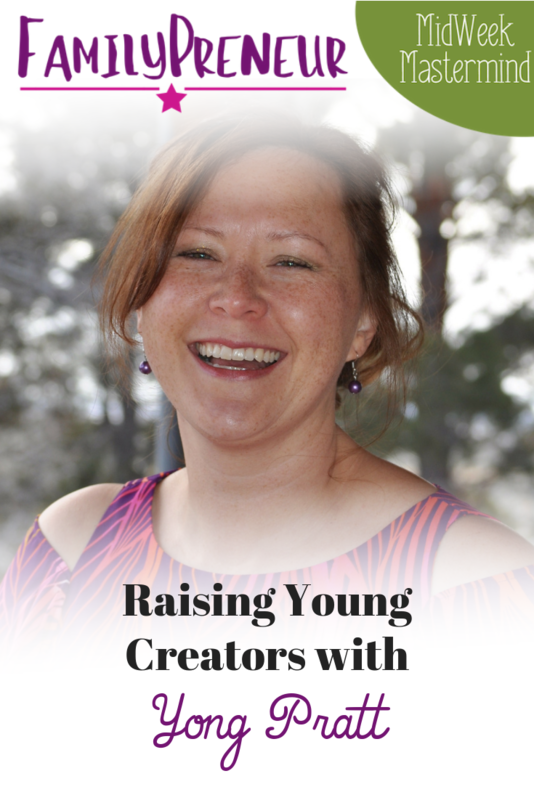 I’m excited to be hosting the founder of Our Young Creators, Yong Pratt! It's time to start making plans for the summer – school will be out before you know it! If your child is in the tween-age years (that's those awkward years before they're officially a teenager, but they're old enough for some increased responsibility) you may have started thinking about when they'll be ready to have a little home alone time. When I lived in NY, we had a local class available that prepared kids for home alone situations, and since this class did not exist in AZ, I created my own digital version, so all parents can benefit from the convenience of a Home Alone Class! The class was designed with kids 7-14 in mind – so even if your child is not quite ready for the responsibility, this is a course that will equip them with the skills to handle any emergency or unexpected situations, and when the time is right, be home alone! Yong talks about the experiment that lead to starting Our Young Creators. Yong started outsourcing small tasks for her business to her daughters. Coming together to work on the business became a highlight of the week for everyone. Yong started sharing her business concept with her friends and people were interested in hiring the girls. In the beginning the girls were apprentices, but when they were able to complete the tasks without supervision, she was prepared to find them paid work. 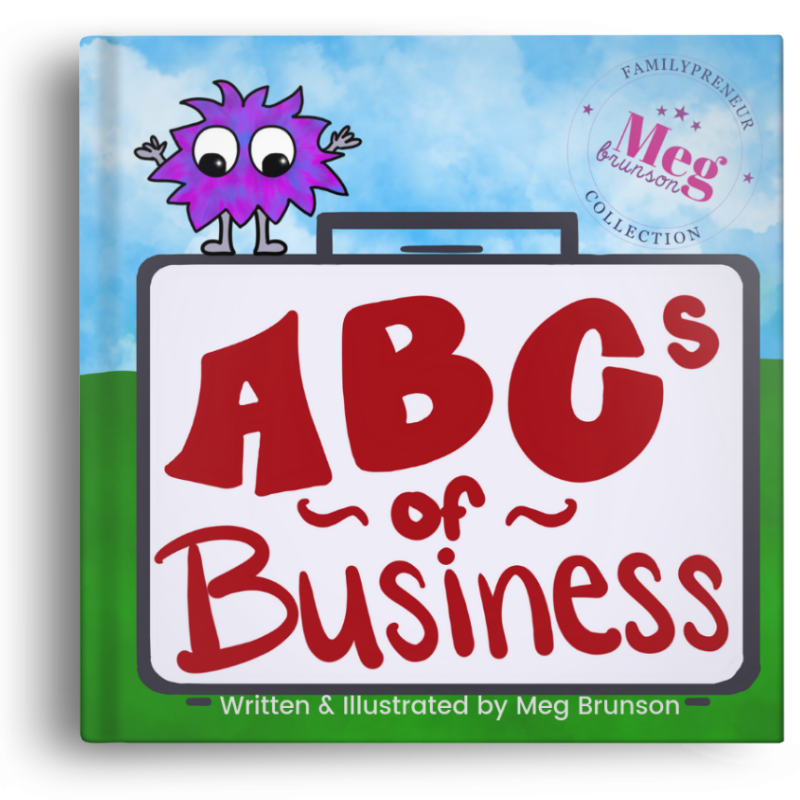 The girls were thrilled to learn about the freedom and benefits of being an entrepreneur. Yong talks about how to turn “consumption” time at home into “creation” time. Yong actually encourages digesting some piece of content that interests their kid and build conversations around those interests. Start with where they are hanging out and encourage them to create something similar. It definitely takes time for the process to evolve and become a natural collaboration. 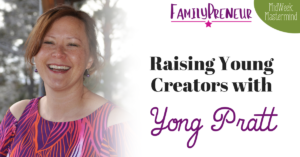 Yong shares how her kids’ perspective of entrepreneurship is changing. 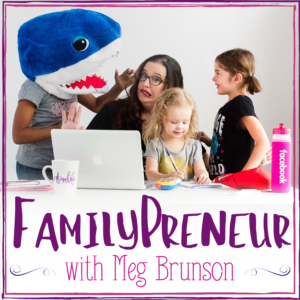 Her youngest daughter does a lot of work for clients with blog management and video editing while her oldest is helping to produce a podcast. They are realizing how these opportunities are a much better use of their time and talents than minimum wage jobs available. They are also learning to identify the parts of their jobs that they love most and what they can leave behind. Yong has had the chance to help them evaluate how much more profitable being an entrepreneur is than most traditional part time jobs. Yong takes the responsibility of matching her girls with potential clients. Yong shares some tips for raising younger Kidpreneurs. Some ideas include allowing your kids to take pictures on your phone to explore their creative eye or listening to a podcast together to inspire them to share a story. It’s about identifying little moments where you can be intentional with a device and help encourage curiosity and creativity. Yong is encouraging her girls to take risks to do more than the behind the scenes work when it comes to creative production. Giving kids the opportunity to record themselves helps encourage them to learn the value of their voice. 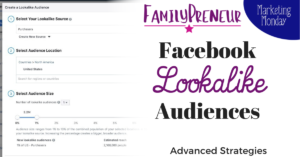 Creating a private family facebook group is a great way to have safe and creative exchanges. Yong talks about what she might say when she encounters critics. She feels confident that she is not overworking her kids. She is simply offering them opportunities to learn new skills and build someone else’s business in a couple hours a week. Yong describes how she helps her girls reframe experiences that may feel like failures. She enjoys being able to equip them with tools and see how they utilize them. She likes having the chance to reflect with them about the entrepreneurial lifestyle. Yong offers her advice for parents who want to inspire their kids to be KidPreneurs too. It’s most important to be curious and be willing to think outside the box. Be ready to engage them on their level to help them discover their interests. Yong lives at the base of the Ruby Mountains in Northeastern Nevada with her husband, two dancing daughters, and a menagerie of creatures big and small. She enjoys getting artsy, exploring the great outdoors, and savoring great books.She is a Chief Dreamer, podcaster, author, former professional dancer, world traveler, multiple degree holder, and all around curious soul. At Our Young Creators, she helps kids of all ages share their voices and make a bigger impact using the technology they already have at their fingertips. 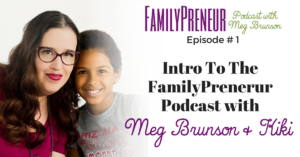 She’s shifting the paradigm from consumption time on devices into creation time by equipping kids with real-world skills (like podcasting) so they can share their stories, learn to serve others, and fund their adventures in the process. Love how she has her kids so involved and has them to do chores to help out for business. This is so inspiring!